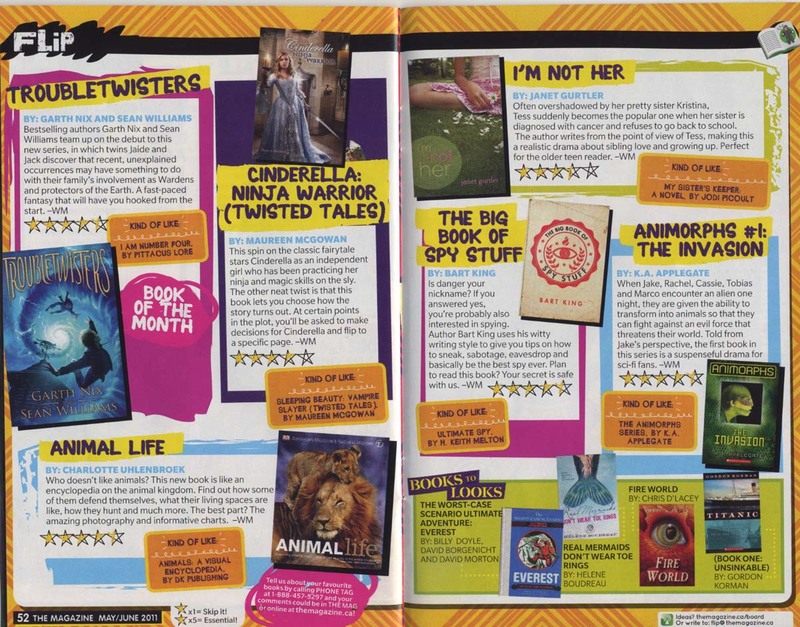 Cinderella: Ninja Warrior is featured in the summer issue of The Magazine! Read by hundreds of thousands of Canadian kids. Just heard this. Will be running to a news stand to buy a copy, ASAP. And how funny that the “Kind of Like” comparable they use is Sleeping Beauty: Vampire Slayer. Congrats, Maureen!! I’m excited for you ;). That is awesome, Maureen! You must be thrilled! Congratulations! I enjoy looking at your website and blog. Maureen, that’s fantastic! What a thrill! Congratulations. Janet, I found one at a magazine specialty store, but parents have told me they’ve seen it at Walmart.